The writer of a will – known as the testator – must be over the age of 18 and of sound mind when he signs his will. According to Chapter 394.040 of the Kentucky revised statutes, a will is valid if it is in writing and signed by the testator, or by another person under his direction. At least two witnesses must also sign the will in the presence of the testator. Both witnesses should sign at the same time. A handwritten, or holographic, will is valid if written in the testator's own handwriting and signed by him. A will, once written, does not expire. Chapter 394.040 states that a subsequent will has the effect of revoking any prior wills. A testator can also revoke his will by some other writing where he declares that he intends to revoke the existing will. Such other writing must be signed and witnessed with the same formalities as the original will. The testator may also revoke the will by cutting, tearing, burning, obliterating, canceling, or destroying either the complete document, or his signature, provided it is clear that it is his intention to revoke the will. In some states, both marriage and divorce can revoke or change a will. Chapter 394.090 of the Kentucky revised statutes specifically states that a will is not revoked by the marriage of the writer. According to Chapter 394.020, if a testator divorces after he has written his will, any bequest or legacy to his former spouse is revoked. Similarly, if the testator has appointed his ex-spouse as executor, trustee or guardian, this provision will be revoked. Any instructions in the will that have been revoked by divorce are revived if the testator re-marries his former spouse. A testator usually appoints someone in his will to act as his executor or personal representative. 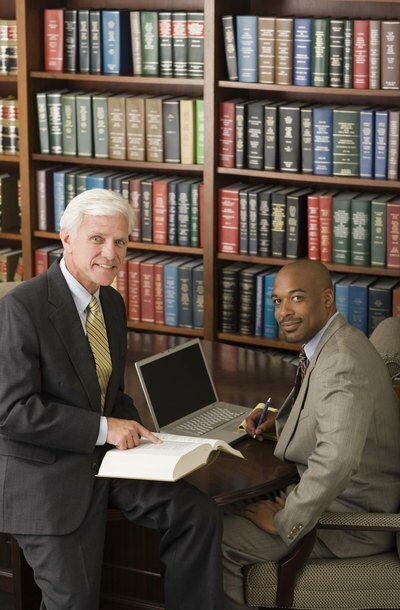 The personal representative is responsible for gathering in the assets and closing bank accounts. Once the gathering in is completed, the personal representative then distributes the property according to the testator's wishes. In Kentucky, anyone may act as personal representative if he is over 18. A will is a written document that sets out the wishes of the writer -- known as the testator -- in the event of his death. In Maryland, the state law on wills is contained in Title 4 of the Estates and Trusts Chapter of the Maryland Code. If a person dies without making a will, he is said to be “intestate” and state laws will determine how his estate is distributed.